Spring garden tips for gardens up and down the land, that are slowly waking from their winter slumber. As little shoots poke their heads out of the ground and dormant plants stretch and yawn keen gardeners are bursting to get outdoors and crack on with their gardening plans for the year ahead. Is there anything more exciting to a gardening lover than the site of daffodils and snowdrops as their garden slowly comes back to life? Winter can feel as if it has been around forever at this point and so any opportunity to get outside is very welcome thought. So before we all get carried away with our gardening plans there is some spring garden tips and general housekeeping jobs to do. Here are 5 spring garden tips. KEEP OFF THE GRASS ! Now I’m sure that most gardens in the U.K. will be experiencing soggy lawns. We have had a lot of rainfall lately and I know here in West Yorkshire we certainly have received a good downpour or two. As a result my lawns are just slippery, patchy bogs ! On the occasional times that I have had to step onto the grass I know that I am making matters worse. Until the more consistent warmer weather arrives its best to avoid where possible walking on them altogether. Keep yours eyes peeled for garden pests. Now is a good time to have a look for what’s about in your garden. As your plant foliage will be low you have a good opportunity to see where any nests, infestations and general hangouts for your little friends might be. Think about treating any issues that you find to help you get on top of it before they take over your garden. For me my main garden pest is slugs and snails 🐌. They are just a nightmare, out on the prowl looking for yummy new growth. So I shall be doing the rounds with the slug pellets imminently. The blustery winds of the past few months will most likely have brought litter into your garden. Work around the garden collecting any rubbish before it gets buried behind your foliage. It’s also better for any wildlife that comes to stay in your garden as it can be harmful to them. Recycle anything recyclable. If you have a compost heap, see if any of the litter is suitable for the compost bin. An environmental win win ! from your flower beds and lawns. They can harbour bacteria which can cause problems in your garden. Also it looks lots better for a tidy. Weeds are nothing but a pain. (Although there are some which are quite pretty 🌺 so I do tend to leave those if I like them) Now is a great time to get ahead and crack on with a bit of weeding. Weeds are more exposed at this time of year and easier to spot. Do your best to get the root so you know it wont be coming back. As they say prevention is better than the cure. 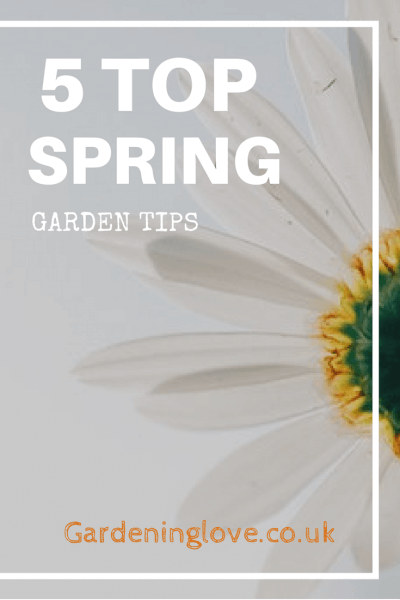 Anything you can do now that will help to prepare your garden for spring will save you time and effort in the upcoming months. Thus leaving you more time to do the gardening jobs that you enjoy.